Our Inn has four rooms with maximum capacity for 10 guests. 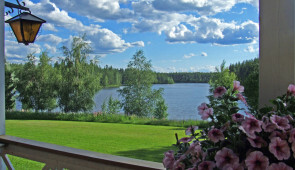 Three of the rooms have lake view, and one room has view to the forest. 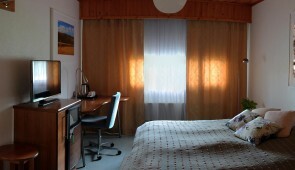 We have rooms with private or shared facilities. Each room has a different style and equipment. 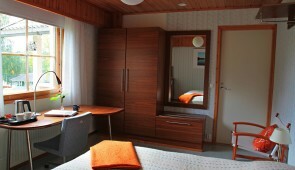 A room overnight aways includes a hearty breakfast and the right to use sauna.